Asthma in children is one of the most difficult health conditions to manage. If your kid is suffering from asthma, these tips are meant for you. Develop and practice a regular cleaning schedule at home. Use a vacuum cleaner with small pore filter and moist cloth to prevent dust leakage into the air. Wash all bed and pillow covers in hot water once in every two weeks. To get rid of airborne allergens, you should use HPEA or ionizing filter in your house. This will ensure that there are no more dust, pollen or other allergens in the air. If you or your family member is a smoker, avoid smoking inside the house. Passive smoking or secondhand smoke can trigger asthma attacks. If possible, keep your pets outside the house. At least, keep your pets away from your kid’s room. Wash your pets every week. If you have a pet cat, make sure that your child does not some near the litter box. Mold spores trigger allergic reactions which eventually trigger asthma attacks. Keep your child’s room dry and well-ventilated. You can reduce mold by fixing faucet leakages, washing shower curtains regularly, and washing or dehumidifying mildewed areas with a water-beach mixture. Be sure to know what irritants cam trigger your child’s asthma. Normally, smoke, dust, fumes or chemicals can trigger asthma attacks. These irritants can lead your child to have unexpected visits to your doctor. It is recommended to use mild-scented products like cleaners, soaps, detergents and other personal care products. It is your responsibility to educate your kid about allergic reactions and asthma. Teach your child how to seek for help when they are away from home. Train them to tell you when they have asthma attacks or an allergic reaction. You should also teach them what to do at those scenarios. They must also be aware of their medications and emergency contacts. Asthma and allergy treatments differ greatly, hence you need to consult with your child’s physician and come up with a plan. Execute your action plan in a way that you child can ask for help when needed. Be aware of allergens, irritants, symptoms of allergic reactions, and medications. 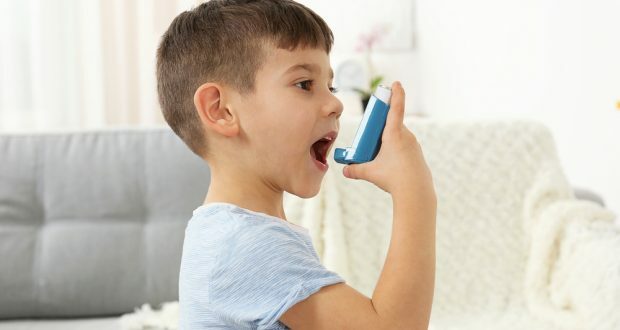 Keep your child asthma-free now!